We are really looking forward to Easter Sunday. Easter is a celebration of the resurrection of Jesus Christ. He has defeated death and overcome the power of sin in our lives giving us new life. 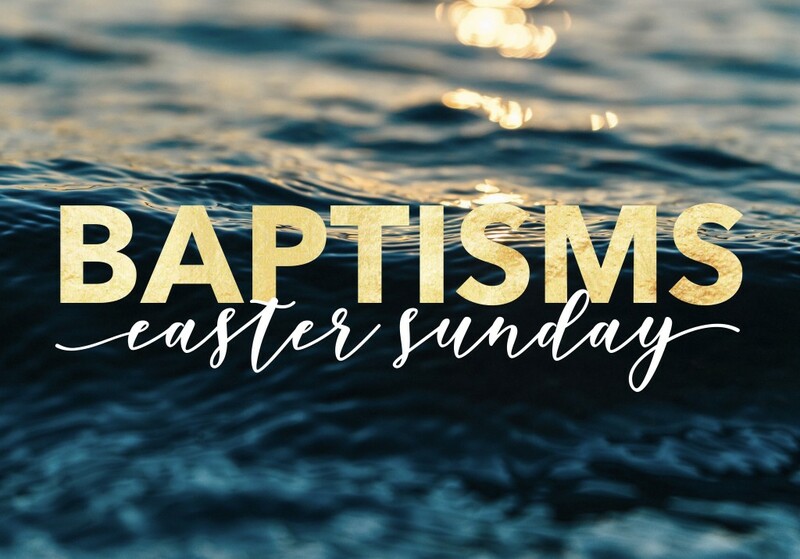 There is no better day to be baptised in water – a public demonstration of faith – an external sign of an internal reality that Jesus has made you into a new creation! If you are interested in getting baptised please contact Pastor Matt and he will talk it through with you.